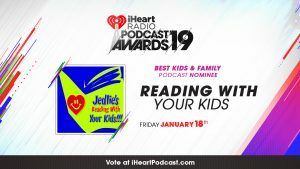 Reading with Your kids recently had the pleasure of interviewing Rachael Hanible, author of the newly released children’s book Amber’S Magical Savings Box: First Interactive Lesson on Earning and Saving Money! Rachael is a two-time Author, Inspirational Speaker, and Personal Finance Coach. 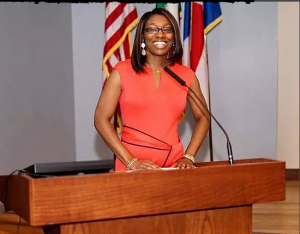 She is also the Co-founder of a mentoring organization for teenage girls. She believes we should start to educate our children on the importance of money management at an early age. Because of this, she spends most of her free time traveling to Schools, Churches, and Recreational Centers teaching on various topics involving money. Lessons include saving, budgeting, and check writing to name a few. In this exciting episode of the podcast, Rachael talks about her book, The importance of teaching children how and why to save money and how her book encourages and inspires children to create their own savings goals to buy all the magical things they desire. In her teenage years, she started writing poetry which turned into POT OF GOLD a book of Inspirational Poetry she published in 2009. She uses her book to encourage teens to find their outlet while dealing with everyday growing pains. 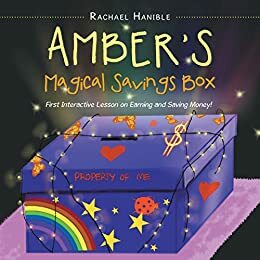 In 2018 Rachael published her second book in honor of her niece (after her passing) called Amber’s Magical Savings Box. This is an interactive children’s book teaching a lesson on earning and saving money. She believes that money management should be taught at a young age. Amber’S Magical Savings Box: First Interactive Lesson on Earning and Saving Money! Discover Ambers life-changing experience as she learns her first lesson on goal setting, earning money, and the importance of saving. This interactive book will encourage and inspire children to create their own savings goals to buy all the magical things they desire. Let’s teach our kids these lessons early before they make the same financial mistakes we made. This book can be personalized. Children can create their own goal and keep track of their own savings in the book. This book is guaranteed to spark the mind of our young entrepreneurs and teach them the value of a dollar. What inspired Rachael to write Amber’S Magical Savings Box? How did she come up with the story, angle, or idea? How does Amber’S Magical Savings Box is valuable to parents in helping their young children understand money, spending, saving, etc? Some of the topic points for families after reading the book. What projects is Rachael working on now & some of the interesting things her website and book has to offer! Wishing You A Very Happy Birthday, Rachael! Thank you, for taking the time to share your book with us! PreviouslyLet’s Talk “From Me to You” by Norman Aladjem! !